Easy chicken dinner recipes made easy at home. Not sure what to dinner to make with chicken? More than 40 recipes to make it easy to cook chicken for dinner. Ever wondered what goes good in risotto? What should risotto taste like and should risotto be covered while cooking? This colleciton of easy risotto recipes will have you mastering how to cook risotto in no time. These 30 easy risotto recipes include one-pot oven baked ideas so no stirring required. Learn how to make risotto here. Easy, creamy chicken and mushroom recipes that are great for dinner. Choose from creamy chicken and mushroom recipes, creamy mushroom chicken with rice, chinese mushroom chicken and chicken mushroom spinach recipe combinations. Learn how to make scrambled eggs fluffy with this best scrambled eggs recipe collection. Watch our scrambled eggs cooking video to see how to cook scrambled eggs with cheese, or how to cook scrambled eggs in the microwave. Mince is always a weeknight winner, it's fast and affordable and also very versatile. Choose from beef, lamb, pork or chicken mince to make your next meal easy and delicious. With everything from Meatballs to Lasagne, Burgers and Meatloaf, you'll find plenty of hearty inspiration in this collection of the best mince meat dinner recipes. Have fun this Easter with this delicious recipe collection. These easy Easter treats will impress guests and will be loved by all. Why not try an irresistable chocolate Easter mudcake or cute chocolate crackle Easter bunnies. Pizza is the ultimate fuss-free dinner idea. It ticks all the boxes and slays hunger fast. It's also a great idea if you're looking to feed a crowd. Try a classic margherita with pesto ricotta or if you're looking for something lower-carb, try a cauliflower pizza. Entertaining doesn't have to break the bank. You can still serve-up delicious and show stopping meals and appetisers without over spending. Try a seriously easy portabella mushroom pizza to kick-start the event or a quick and easy garlic and herb ricotta penne pasta will certainly keep your guests happy. It's time to get-ahead of your dinner time. Enjoy this collection of easy make-ahead dinner recipes great for the whole family. Including vegetarian options, chicken dinners, fuss-free pasta recipes plus many more. For the love of long weekends! With that one extra day of no work or school, it gives you time to really relax and enjoy. Plus for you foodies there is more time to be had in the kitchen. Why not try a delicious nasi goreng tray bake or a stunning caesar salad with hot smoked salmon and a healthier seed crisp. The footy finals are almost upon us. What better reason to get your mates around for a BBQ and enjoy the game over a tasty meal? We've made your menu planning easy with this collection of tasty recipes that are quick and easy, so you wont miss the first bounce. You're covered for finger food, BBQ meats, salads and even a few very appropriately named cocktails! Who needs takeaway when you can make your own tasty and authentic stir-fry in the comfort of your own home. Serve with noodles or rice, a stir-fry is the perfect midweek dinner idea. Try an easy teriyaki beef noodles recipe or enjoy a zesty lime, lemongrass and chilli chicken stir-fry. These delightful spring cakes and cupcakes are a wonderful touch for your spring celebration. Full of classic cake recipes plus easy cupcakes great for all occasions. Try a classic jam and cream victoria tea cake, or a modern red velvet cupcake. Now that spring has sprung it's time to welcome in a new array of fresh recipes great for dinner parties or other special occasions. These dinner party recipes will take the stress out of hosting. Why not try an easy pasta primavera or a chicken satay skewers with gado gado salad. Mark the beginning of the new season with this collection of spring-ready recipes, great for mid-week eating. This collection includes light pasta recipes, quick chicken dinners, hearty salads plus many more. Winter is about to come to an end, but for one last hurrah it's time to indulge in your winter warming favourite recipes. Try a saucy one-pan butter chicken recipe or how about an easy four cheese carbonara? With Father's Day fast approaching it's time to start thinking about dad. If your dad is a sweet tooth, this recipe collection is perfect. Cook-up dads favourite sweet treat for him to enjoy this Father's Day. Try a trending choc-mint brownie slice or perhaps dad will enjoy a classic chocolate crackle. With Father's Day around the corner it's time to start thinking of Dad. If your dad is a meat-lover, then this recipe collection is for him. Full of easy and delcious meat recipes to suit any dad on Father's Day. Why not try the trending slow-roasted lamb shoulder or how about some popular sticky pork ribs? Have a look at the newest and seriously delicious recipes which are perfect for dinner parties and any other special occasion. This collection will take all the stress out of hosting all your dinner parties. Why not try a nasi goreng tray bake or a beautiful avocado lentilicious salad? Stuck for what to make for dinner with chicken. Here's the chicken recipe collection you need. Easy chicken salad dinners, roast chicken, chicken pasta dinner recipe and even chicken curry. Revive your weekly chicken dinners recipe list. Enjoy the wonderful flavours of Italian cooking in the comfort of your own home. From classic pasta recipes, cheesy pasta bakes, pizza, risotto and many more to enjoy for dinner. Try a simple risotto or a zucchini and sweet potato lasagne. Enjoy this collection of easy, cheesy nachos and tacos recipes. Including vegetarian nachos and tacos plus a variety of mince nachos and tacos. Try a delicious chilli and lime roasted cauliflower nachos recipe or tasty fish tortillas? Can't shake that cold or flu? You've got to feed your cold. Seriously. There are a long list of flu-fighting ingredients rich in vitamins that will help you overcome that cold. These recipes contain garlic, beetroot, sweet potato, turmeric, dark leafy greens, salmon, carrots, eggs, almonds and ginger. Make your weeknight cooking easy with this collection of easy weeknight dinners for family ready in 30 minutes or less. This collection is made up of family-friendly weeknight dinner ideas that everyone will enjoy. Having a can of coconut milk or coconut cream in your pantry is pretty much a given these days. You can make so many recipes with coconut cream or milk like a good curry, or add it to a dessert or create a marinade. This pantry staple can create a super-satisfying dish. This collection will show you great ideas on what to cook with coconut milk and cream. Stay warm and balanced on these chilly days with this collection of healthier winter superfood recipes. Broccoli, carrots, oats, cauliflower, lemons, red capsicum, lean red meat and kiwi fruit top the list of hearty winter ingredients that are good for you. So why not try a hot bowl of beef ramen or a pear and oat slice? Anything slow cooked just screams winter cooking. Slow cooked meals are also budget friendly and require minimal fuss. Winning! Also you don't need to own a slow cooker to slow cook. As this recipe collection suggests, slow cooking can be done in a variety of ways. Try a hearty slow cooked Indian lamb shanks recipe or a pork satay hot pot. During winter we tend to comfort food, but you can still enjoy hearty, warming meals without spending hours in the kitchen. This collection of recipes will warm you up during winter and also help you beat the clock. Why not try a coconut chicken curry with cauliflower rice or even a garlic and herb ricotta penne. As the weather cools, our desire for hearty winter comfort food recipes increases. Satisfy your comfort food cravings with this recipe collection including bacon mac 'N' cheese jaffle or a classic sticky date pudding. Whether your staying in or out an about this June long weekend, the following collection of recipes will cater to any occasion. Because you have extra time over the weekend, why not try something you don't normally cook such as a braised mushroom and beef casserole or a rustic free form Moroccan chicken pie? As the weather cools, it's time to welcome in a new array of warming recipes. Especially if you are hosting a dinner party. This collection is full of pasta bakes, slow-roasts and other hearty dishes great for serving a crowd. No matter what, there seems to be always a tin of tuna in the cupboard as a standby or last minute meal idea. Tuna can be easily added to pasta bakes, salad, sandwiches, patties plus many more. So when your stuck on dinner ideas, pick up a can of tuna. With Mother's Day getting closer it's time to start thinking of how you might spoil your mum? Why not start with a sweet delight to show mum you love her. Mum will love a slice of chocolate brownie with avocado ice-cream or spoil her with a stunning pear tarte tatin. For the love of pears! This collection of pear-fect recipes has everything from sweet pear cakes, pear toasted sandwiches, pear smoothies and crunchy pear salads. Make the most of this versatile fruit and be sure to add it in to your Autumn cooking. This recipe collection has lot's of great ideas for chicken recipes, like chicken pasta, chicken drumsticks and chicken curry's. This collection on stunning Autumn recipes are super satisfying and full of seasonal flavour. These recipes are ideal for entertaining and Autumn dinner parties. Why not try a chestnut, spinach and green pea soup or a show-stopping nachosagne. Celebrate St Patrick's Day with this gorgeous green recipe collection. From a vibrant spinach hummus to a colourful pear and brussel sprout slaw there is something for everyone. Great ways to cook sweet potatoes, from the ultimate sweet potato mash, to a quick and easy sweet potato and broccoli frittata or a creamy sweet potato alfredo pasta that the family will love. Make a feast to remember this Easter. It's time to freshen up your Easter menu and with any of these delicious recipes. From fish, to lamb, chicken plus vegetarian options, there is something for everyone. Quick and easy recipes made with Penne Pasta. One favourtie pasta shape, 30 ways to serve it - Choose from super simple tomato or deliciously creamy sauces to fast and fabulous salads and crowd-pleasing pasta bakes. Chicken drumsticks are an easy dinner idea all year round. Make chicken drumstick marinades and you've created a delicious meal for weeknight dinners and the BBQ. Keep it quick and simple with Perfect Italiano's new Ricotta Pasta Stir Through. Simple heat and stir through your favourite pasta dish. Why not try a easy four cheese carbonara or a tasty garlic and herb ricotta penne. Treat your taste buds to this collection of easy Autumn dinner recipes. From soups to salads, you'll find everything you need in this collection to suite the everchanging Autralian Autumn climate. We're crazy for food in bowls - Poke bowls, buddha bowls and nourish bowls, we love them all. 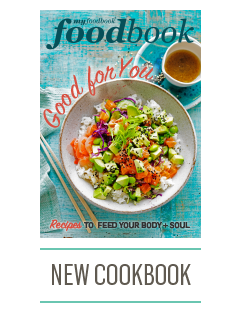 This easy collection of recipes to make your own Poke bowls as well as egg buddha bowl or a crunchy nourish bowl. Keep it easy at your next dinner party with this collection of quick appetisers that can be whipped up in under 30 minutes. Why not try a fresh cucumber salmon roll recipe or some smoked salmon and dill tartlets? This delicious recipe collection is dedicated to Valentine's Day. Spoil your loved one this year with a delectable dessert. Why not try a show-stopping passionfruit tart or a rich chocolate ripple cake. If you're in need of some exciting vegetarian Christmas recipes this collection will certainly help. From a show-stopping garlic roast potato wreath or a colourful wild rice salad with dukkha eggs, plus much more. These recipes will impress. Too much turkey, ham or roast veg and cheese leftover from Christmas. Making the most of Christmas leftovers, this recipe collection shows how to create delicous ideas using up Christmas leftovers. Nothing tastes quite as sweet as nostalgia. This recipe collection features hints of tradition, such as a hedgehog slice or pavlova and touches of modern Aussie dishes such as a deluxe raspberry chocolate lamington or a steak, tomato and sweet onion open sandwich. Introduce the kids to traditional Australian recipes. With ideas like what to pack in a school lunchbox to nostalgic Australian sweet treats that have been enjoyed for generations, this collection has lots of fun ideas for kids cooking. Chocolate crackles to the best ever zucchini slice recipe, these ideas won't just excite the kids! Make Christmas Day that little bit easier. Finish off your meal with a simple but delicious no-cook dessert. Try a delicous easy assembe cherry choc trifle or stunning mango and passionfruit nests. Freshen up your Christmas table with an array of fresh and colourful salads to pair with your chosen Christmas meats and other sides. Why not try a stunning wild rice, pomegranate and dukkha eggs salad or perhaps a classic potato salad is what you prefer? With Christmas Day fast approaching it's time to start thinking about your menu for the day. Why not start with the mains and then work your way to sides and other dishes. Fancy a traditional rosemary, garlic and lemon roast lamb or perhaps a vegetarian option such as the herbed pastry wreath is more your style. Shrove Tuesday, Pancake Tuesday or any old Tuesday for that matter. Pancakes make the perfect breakfast, lunch or dinner treat so be inspired with our collection of pancake recipes, hotcakes and crepes. With gluten free pancake recipes too, there's a pancake for everyone! Get cracking on World Egg Day 2018 - Friday October 12th! This collection of easy egg recipes includes different ways to cook eggs including international recipes that feature eggs. There's something weirdly fun about eating skewers. Plus they are great for summer and entertaining. This recipe collection has it all, why not try delicious satay and coconut chicken breast skewers or pork balls on a stick. This recipe collection is full of traditional and new Christmas main dishes. Whether you prefer ham, turkey, pork, chicken or even lamb there is something for everyone. Try any of these delicious recipes ths Christmas and impress all family and friends. With the warmer weather comes our desire for lighter meals. Salads are perfect for this weather and are a great side dish for any entertaining this summer. This collection of show-stopping salads will be your go to over summer. This collection of delicious recipes proves that Christmas cheer does not end on the 25th. You can still enjoy all your Christmas food the next day. Try use your leftovers in an easy frittata recipe, or salad and you even use your leftovers for breakfast the next day. Now it's your turn to try The Good Fat restaurant recipes in your own home. This recipe collection has got you covered from breakfast through to dinner. All including a generous serve of avocado...ofcourse! With summer just around the corner it brings a new selection of stunning dessert recipes perfect for the warmer weather. With not try a refreshing apricot frozen yoghurt or a show stopping eton mess with a tangy passionfruit sauce? Make individual desserts look impressive by serving them in beautiful glasses. From tiramisu to mini trifles with fresh fruit, these ideas are so easy to serve for parties but still look gorgeous. With the warm weather comes a brand new and delcious selection of summer stonefruit. Which make beautiful summery desserts. Why not try a stunning layered stonefruit tart or a mixed fruit tarlet? End your day with a delicious and easy salad recipe. This collection of quick salad recipes make for the perfect dinner especially during the warmer months. Why not try falafel chicken with cucumber chickpea and orange salad or a tasty mushromms and ancient grain salad. As we move into the warmer months our desire for lighter and quicker dinner ideas increases. No-bake or no-oven recipes will become your new best friend. Why not try a lovely spiced lamb burger with yoghurt and fresh beetroot relish or protein-packed turkey kebabs. Yum! As our social calanders start to expand, our need for fresh new recipes also expands. Satisfying your guests before the main meal is crucial. Serving tasty but easy appetisers will certainly keep your guests entertained. Why not try a spicy strawberry and jalapeno salsa served with corn chips or baked brie with maple bacon and onion jam. Looking for spring dessert ideas? Look no further, this lovely collection is full of delicious dessert recipes using seasonal produce. Why not try a fresh lemon meringue pie or a tasty rhubarb custard tea cake. What better than a cute and tasty dessert that requires no fuss and can be enjoyed in one bite. As we move into cooler weather comes the season of movie nights and staying in with the family. This collection is full of delicious recipes perfect for bite sized munching and enjoying in front of a good movie. Coming home after a long day and having to cook dinner can be quite the task for some. Fear not this collection of dinners recipes that you can whip up in 30 minutes or less will be your new bestfriend. How about this week you try a stunning crunchy buddha bowl for a nice big serving off greens or what about a delicious turkey san choy bau? All in under 30 minutes. This recipe collection is full of delicious ideas that are made for sharing. These recipes are ideal for your next dinner party as your guests can enjoy these delightful shared plate ideas for a satisfying tapas style dinner or enjoy these recipes with your partner on the weekend. It's time to spring into spring! Welcoming in this delightful season with a new array or super delicious recipes full of bright and vibrant ingredients and flavours. Perfect for family dining and spring entertaining. Why not try a stunning chilli and lime roasted nachos or tasty sweet potato fries with crumbed fish. Fear not, this recipe collection has got you covered when you have guests turn up out of the blue! No need to frantically try and whip up something impossible, these recipes are easy but most importantly delicious. Your guests will love a tasty sweet potato alfredo penne or an easy mushroom, zucchini and bacon family frittata. Morning teas are all about gorgeous and delicious bite-sized treats teamed with a warming cup of tea or coffee. They are a fun way to celebrate a birthday, bridal or baby shower and a catch-up with good friends. For your next gathering try a super delicious jam doughnut muffin recipe or keep it simple with buttermilk scones. You will want to save room for these stunning, wow factor and super delcious desserts. These gorgeous dishes will certainly please all who try and everyone asking for more. Try a stunning sweet potato vegan cheesecake, or a giant wagon wheel cake. Picking a recipe from this collection won't be easy. Whether it be beef mince, lamb mince, chicken mince or pork mince, minced meat is the ultimate source of protein used in easy mid-week meals. Savoury mince is the main ingredient for delicious pasta dishes, easy bakes and yummy rissoles or meatballs which make for perfect family meals. In your weekly dinner plan you should try an easy mushroom spaghetti bolognese or a stunning Lebanese lamb pizza. When you have been asked to 'bring a plate' this recipe collection has got you covered. With easy savoury dishes or dessert ideas that make for easy one plate dishes. How about a delicious mushroom arancini recipe or a stunning sweet potato vegan cheesecake. Eating more greens during winter can be easy with this delicious recipe collection full of wholesome and hearty dishes packed full of vegetables. Try a warming mushroom korma curry or a quick macaroni, cheese and veggie bake. All of these recipes will ensure you're eating more greens. If you have guests coming over or need a fuss-free family dinner, one-pots and bakes should be at the top of your menu. You can dish up scrumptious pasta dishes, tasty rice meals or easy stews, the list goes on! Try a easy and delicious one-pan penne bolognese or how about a one-pot chicken and mushroom casserole. When you're planning a party - whether it's a child-friendly affair, a birthday bash or something a little fancier like spring racing, or even got your favourite sports team to watch, choosing finger food is often at the top of the list of things to do. With this recipe collection, we've taken all the fuss out of entertaining and just left the fun and tasty. Try a scrumptious avocado beetroot dip or tapas style garlic mushrooms at your next gathering. Your guests with certainly be asking for more and the recipe to boot! These darker evening and cooler weather calls for warming, hearty and fagrent curries. Coming home after a long day and itching to be warmed up, a curry will certainly do the trick and set you up for an unforgettable feel-good feast. Try a tasty butter chicken recipe or a scrumptious vegetarian mushroom korma curry recipe, your choice! This collection will see all your guests coming back for more. Start your winter morning off with a stunning brunch and linger over these stunning recipes. Why not try a mouth-watering cinnamon french toast with vincotto caramelised pear or scrumptious ricotta, leek and corn fritters with zucchini noodles. As the weather cools our desire for warming, comfort food increases. Although you can still nourish yourself with different food such as warming and hearty salads. Why not try a delicious warm moroccan avocado and roasted vegetable salad or how about a roast mushroom, kale rice and quinoa salad. This time of year is when dessert thrive! It's all about oozy, delicious and tempting recipes that warm you up from the inside out. Who dosen't love a mouth-watering bread and butter pudding served with a dollop of fresh cream or why not try delicious baked ricotta and raspberry puddings. There is something for everyone in this dessert collection! Make your weekday lunches easier with these delicous make-ahead lunch recipes. These recipes are perfect for the whole family. Why not try a mushroom, zucchini and bacon frittata or how about sweet potato, spinach and feta muffins. If you love to bake but don't enjoy the clean up, this collection is the one for you! Why waste time on cleaning up, when you can create delicious desserts or baked goods, with just one bowl, one tin or one muffin tray? Why not try a mouth-watering avocado brownie recipe or some warming apple and cinnamon muffins. It is time to add mushrooms to your weekly meals and what better way than with delicious and fuss-free one pot or pan recipes. Why not try a stunning a one pot lamb shank with button mushrooms or how about a one-pan creamy mushroom risotto topped with crispy bacon. Make your weeknight meals easier and tastier by adding mushrooms. This delicious collection of colorful kids party treats is full of some of your favourites such as tradtional chocolate crackles or why not try a tasty and fun chocolate crackle popcorn recipe. There is something for both parents and kids in this collection. We have officially hit winter which calls for warming slow cooked meals, hearty roasts and delicious one-pots. It is comfort food season! From a mouth-watering asian-style slow cooked beef cheeks with mushrooms to a scrumptious coconut chicken curry with cauliflower rice this collection has it all. There a certain few dessert recipes that never go out of fashion! These classic desserts have been loved by all for years and with simple but delicious ingredients they are real winners. From a extremely delicious vanilla custard slice to a mouth-watering pear and chocolate bread and butter pudding. Whats stopping you whipping up one of these classic desserts! These stunning recipes will allow you to show off your culinery skills to your guests and serve up beautfiul looking dishes. These recipes are perfect to serve to a dinner party of 4 or more. From a delicious slow roasted lamb recipe to a scrumptious pear tarte tatin recipe, you will no doubt impress your guests. Love warm and comforting food? Can't stand the idea of a bland salad on a cold evening? Us too. Which is why we've complicated these hearty yet healthy comfort food recipes for the cooler months. From vegetarian curries to healthy tagine and split pea soups, these ideas are bound to keep you satisfied and feeling full. Through the week it is good to have balance. These easy and quick dinner recipes are perfect for the whole family. From cauliflower rice to healthy pies, warm salads and more. Use your slow cooker to create delicious meals that do the work for you! Pop on in the morning and let the slow cooker bubble away. The great bit about the humble slow cooker, is that it will turn off on it's own, and your meal will be ready for you after a long day! See ideas like lamb shanks, slow cooked curries and chilli con carne. Cheesy dinners are oh so delicious and are the perfect comfort food for weeknight cooking. Try pasta bakes, vegetarian pasta dishes, frittatas, one-pot chicken wonders and so much more. Your roast dinner deserves side dishes that are just as good as the roast itself! Cue mouth-watering roast potatoes, dressed up salads and impressive hasselback potatoes. This collection has it all to make your roast dinner incredible. If it's grandma approved, then it must be good! And we sure know that our grandmas would be singing the praises of these old school baking recipes. From Apple Pie to Lemon Meringue and Strudel, you will be taking baking back to its roots with these classic ideas. A new season means a whole new array of fresh, seasonable fruits, vegetables and the recipes to go with them! This collection of Autumn season recipes includes ideas using broccoli, capsicum and fruits like pears and apples, for delicious ideas, you'll create all-season long. Make weeknight cooking easy by removing the hassle of washing up a stack of dishes! Instead, try these easy and delicious one-pan dinner recipes. Perfect for mid-week meals, have a go creating ideas like stir-fry, chicken casserole, con carne and more! Easy meatless Monday recipe ideas for the family. Make one of these healthy vegetarian recipes for dinner that kids will love. From vegetarian pasta recipess to lentil patties and easy one-pan bakes, there are plenty of ideas to satisfy any taste. Eating well is all about balance and less about guilt. Indulge your sweet tooth with these desserts and sweet treats that are healthyish. Enjoy this collection of recipes that are low in sugar, full of healthy fat and are rich in fibre. Easy, healthy and delicious high protein and low carb meals that you will get addicted to. Collect these family dinner recipes to add to your own personalised cookbooks. Warm salad recipes are balanced, fresh and incredibly delicious. Make hearty yet healthy warm salads for an afternoon picnic, an office lunch idea or as a simple and quick dinner recipe. From fattoush salad to a warm salad with quinoa and chicken - this collection has over 20 ideas to inspire you. We're passionate about passionfruit and now is the time to enjoy these delightful little fruits. From a very easy passionfruit sauce recipe to eton mess, passionfruit slice and everything in between, we have passionate passiofruit lovers covered with this great collection of fruity recipes. Whip these mouthwatering stir fry recipes up in a matter of minutes. Find simple stir-fry recipes for your next family dinner here, including chicken stir fry recipes, vegetarian stir fry recipes and beef stir fry recipes. Go for something different and try the stir fry quail for dinner this week. Get dinner on the table with recipe ideas ready in 30 minutes or less. Oh how we love eggs! For breakfast on toast, for lunch with smashed avocado or as a quick and healthy dinner idea when you want to ditch take away. Get inspired with these recipes with an egg on top. See how to make the humble egg in many delicious and inventive ways. For those ultra busy weekdays when you are constantly on-the-go, try one of these easy snack recipes. These ideas will save you time and save you from shop bought snacks. Find recipes for muesli bars, healthy muffins, protein balls and more. Any great BBQ occasion needs an array of delicious side dish recipes to compliment what's on the grill! Try a few of these BBQ side dish ideas this warm entertaining season for a truely memorable occasion. From warm salad ideas to dressed up veggies and perfect spuds, there's something to suit all kinds of party menus. 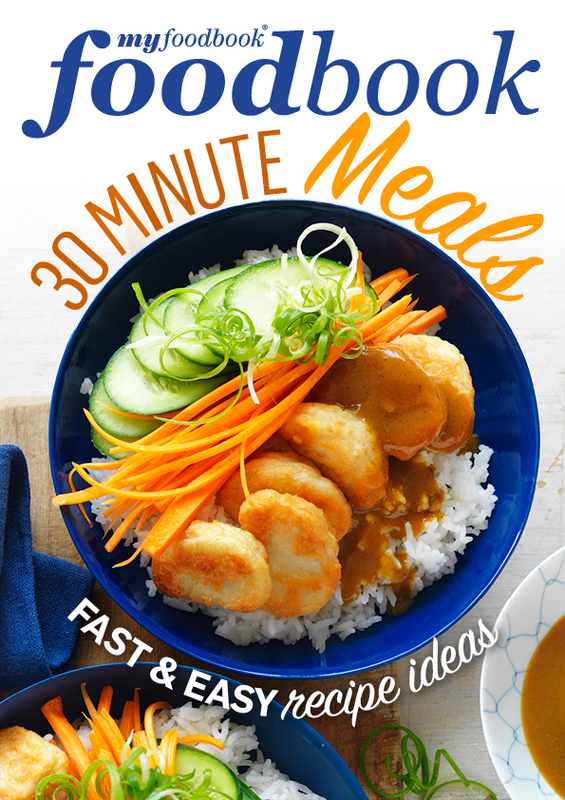 Busy weeks call for easy recipes that can be made in 20 minutes. From easy salads to quick seafood recipes, and simple stir-fry ideas. This collection has 20 recipe ideas that will inspire your weekly meal plan. Baking for cake stalls, school fetes and fairs is downright delicious with these 30 cake and cupcake recipes. Make it easy for yourself with the simple carrot cake and red velvet cupcake recipes. Or get impressive with the showstopping rainbow teacake recipe. Become inspired by the flavours of the world with the best street food recipes. From crunchy fried chicken burgers to gyozas, spring rolls and a philly steak sandwich recipe - you will feel as if you are tasting the finest that street vendors across the world, have to offer! Tart and Frittata recipes are so easy to make - and perfect for any occasion. They can be a simple lunch, a quick dinner or a light idea for brunch entertaining. From pear tarts to easy cheese and bacon slice and frittata primavera, this collection has many ideas to inspire. All those who can't get enough of coffee will be joyous at the sight of these delicious coffee dessert recipes. From an idea for an Espresso Trifle to a simple but brilliant Coffee and Pear Cake, there are ideas for every occasion. Like ideas for party entertaining and a simple afternoon tea or should we say afternoon 'coffee'. Some say there is no such thing as too much chocolate, and if you're a choco-o-holic then this collection contains many indulgent chocolate recipes you'll love. Find the best chocolate mousse, chocolate cupcakes and chocolate cake recipes and more decadent ideas to make at home. Want something other than a salad or sandwich for work or the kid's school lunches but don't have the time to prepare it in the mornings? Make something Sunday night that you can have the next couple of days. This collection of recipes include deliciously hearty bakes, tarts, meatloaf, savoury muffins and even dumplings and paper rolls. Some can be served warm or cold while others just need to be popped in the microwave and you've got yourself a tasty and filling lunch. Love your nectarines, plums, cherries, peaches and apricots but stuck for ideas on what to make with them? This collection has so many incredible ideas to inspire. From nectarine salad recipes to peach dessert recipes and easy stonefruit smoothies. Our national desert...crisp meringue outside with a soft marshmallow centre. Pick the perfect pavlova recipe to wow your guests this Christmas! We have a collection of dazzling pavlova recipe ideas. From fresh simple pavs with fruit to chocolate pavlova ideas and a lemon meringue pavlova. Why not try one this silly season? Everyone is talking about quinoa these days, but what do you make with it? We’ve made it easy with this collection of delicious recipes for cooking with quinoa. It's not just great in salads, try quinoa in a porridge, in a bake, or as a ingredient in Indian, Mexican cuisine and more. Every dinner party needs an impressive grand finale - and what has more wow factor than a show stopping cake recipe, pudding idea or best ever pavlova? From custard cake to a baklava cheesecake recipe, this collection has all you need to impressive your dinner party guests with a delicious dessert. Avocado is fresh and in season, so take advantage of their abundance and give these fresh and easy recipes with avocado a go. From poached egg and avocado smash recipe to an recipe for avocado pesto or a chocolate brownie recipe with avocados - the limits are endless with these delicious fruit. Looking for inspiration on what to serve at your next barbecue? There's plenty of ideas in this collection of summer barbecue recipes. From chicken skewers to lamb cutlets, beef sliders, pork chops and chargrilled prawn, this variety of dishes will keep you barbecueing over all of summer. The ultimate cheesecake recipe collection for cheesecake lovers! Learn how to make classic baked cheesecake reicpe, along with modern takes like lemon cheesecake, ricotta cheesecake, berry cheesecakes and of course chocolate cheesecakes. Spring signals the start of Asparagus season and one of the best times to take advantage of the many wonderful health properties of this versatile vegetable. Asparagus has abundant nutrition packed into every spear, including a range of B group vitamins, vitamin C and potassium. Add to that the emerging research that asparagus has bio-active compounds like antioxidants, which help protect the body against future disease and you have a pretty impressive vegetable*. So pick up a bunch and start cooking! These six incredible recipes use a base mushroom bolognese recipe in six different ways! Bolognese is an ultimate veggie smuggler made much healthier and much tastier with mushrooms. Slice or dice your favourite way to add mushrooms to bolognese sauce, make a big batch and create these great ideas like authentic nonna's bolognese or sloppy joes, which the kids will love. Every good barbecue needs great sauces and condiments, so why not make your own? If you want basic tomato sauce, mayo dressing or sweet hot chilli sauce to smother on your meat there's something for you. Or how about satay sauce, salsa and tartare to dip your nibbles in? There's plenty of ideas and inspiration in this collection of saucey recipes. Get set for the season of entertaining with these barbecue condiments! If it's a sweet scone you desire or a savoury scroll - look no further. This collection of baked scrolls and scones has delicious and easy recipes that will have you baking homemade treats from scratch. Pumpkin scones, sweet and sticky cinnamon scrolls and spicy cheese scones are just a few of the recipes you will find. The beauty of lemons can be found in their colour, smell and taste. Versatile lemons can create a world of delicious dishes with very little going to waste. Grate the skin and mix with salt for a simple flavour enhancer that you can use everyday. Blend the skin with herbs, add to butters and more. Use the juice in marinades, lemon curd, cakes and more! Pick up a basket of lemons and get cooking! For the mornings that a sit down breakfast just doesn't seem possible - these on the go options are the perfect alternative. From breakfast muffins to muesli bars and healthy smoothies these recipes will ensure that you are satisfied with a good meal before your day begins. Try a savoury slice or cheesy muffin recipe for a great alternative to sandwiches! Here are your new favourite jaffle recipe ideas. Create sweet or savoury jaffles for breakfast, lunch or dinner. Try the hot apple pie jaffle or an Italian meatballs jaffle for something delicious and different. Peanut butter and jam sandwiches are an all time American favourite, whereas here downunder we love our peanut butter and vegemite. But the choices don't stop there! There is a huge variety of ways to enjoy your peanut butter whether it's in a belgian waffle, as an ice cream flavour or wrapped up in a delectable palmier pastry. Have a look at this collection of scrumptious recipes that'll get your mouth watering in seconds. Quiches and sarvoury tarts are terrific. They make a lovely presentation when you serve them, are an elegant idea for brunch and high-tea events, and also make for easy lunch or light dinner. Quiches and Tarts also make wonderful lunchbox left-overs although there might not be any from this tasty collection. Cool off this summer with some wonderful home made frozen desserts and ice creams. So simple even the kids can help! There's gelato, fro-yo, ice cream cheesecake and more. Learn how to make your own summer time treats with this great collection of easy recipes. Bechamel sauce is an easy cheesy french sauce that is ever so versitile! Use it to make chicken and mushroom crepes, pasta bake or the ultimate ham and cheese sandwich! Make life easier for yourself, and do a big cookup that you can freeze ahead. This collection of freezer friendly meals are ideal for your family to simply heat and serve. Perfect for a quick weeknight meal, or when the cook's away from home! From meatball recipes, to soup recipes, pies and lasagne too. This collection is full of hearty and tasty recipes that freeze well. Any spring or summer party needs a delicious array of canapé and cocktail recipes. From blinis to mini toasts with antipasto, slider recipes and a great range of fresh cocktail recipes with fruit - this collection has your entertaining needs covered! The start of the school term is a busy time for all. So make sure you start the day properly with a filling and protein rich breakfast that will keep the kids going. From egg muffins to egg dipping soldiers recipes and super-easy busy morning worthy pancakes, this collection has many ideas to get you back into routine. Everyone loves a smoothie and while you can freestyle with ingredients, it's great to know which combinations work best. This smoothie recipe collection is made using the Breville blender range including The Boss, The Boss to Go personal blender and more from the Breville blender range of appliances. For more information on Breville blender series visit the Breville website. If you're a cheese lover than this is your one stop recipe shop. From blue to brie, the world of cheese is abundant with so many varieties you'll never get bored. Here are some of the best lunch and dinner recipes in which cheese plays a main role. Eat well without hassle with these easy and delicious recipes. From breakfast to dinner, there's a dish for every meal so no excuses to give up on your healthy kick start! With ideas for both vegetarians and meat-eaters, you'll be sure to find something to keep everyone happy. There's something so deliciously satisfying about a great burger! Enjoy a classic beef patty or mix it up with chicken, vegetarian, or lentil patties... there are so many ways to enjoy the humble burger. Save your favourite recipes and make your own Ultimate Burger Cookbook for Australia Day, Summer parties and more! We can't get enough of mini bites. Great for parties, high-tea, sharing and snacks on the go. Even better they mean you get to try the whole smorgasboard of goodies on display! If you're thinking of "making it mini" here's a collection of recipes ideas to enjoy. Banana is possibly one of the most versatile fruits used in baking. A definite favourite, this yummy fruit has all but become a staple food in the Australian diet. From banana bread and muffins to smoothies and frozen yoghurt, banana is used in a huge range of dishes. It's a great choice for flavoursome snacks or sweet and creamy desserts, check out these recipes to see for yourself! Fresh and fruity dessert recipes are the essence of an Australian summer. See everything from fruit trifle recipes to gorgeous pavlova recipes and fantastic easy cheesecake recipes - there's nothing like making use of fresh seasonal fruit in your dessert. Simple yet so delicious this range of dips with crisps and crackers is perfect for summer parties, barbecues or even as a snack when you're feeling a little peckish. With light and fresh flavours of avocado, carrot, chives, tomato just to name a few, and dips varying from hummus to salsa and guacamole, this delightful collection has something quick and easy to try for whatever mood you're in. No wedding dinner is complete without dessert and this collection of divine and elegant desserts is just what you need to complete a perfect day. From creamy creme brulee and pudding to delicious tiramisu and panna cotta these gorgeous desserts are the best ideas for intimate ceremonies and simple at home celebrations. Take a look at this collection of wedding day desserts for inspiring ideas. Organising an intimate backyard wedding ceremony and looking for inspiration on what appetisers and bites to serve? Look no further. Here you can find gorgeous little bite sized canapés, simple yet beautiful enough for a lovely wedding celebration. From medditerranean style bruschettas and mini vegetarian quiches, to crostini, blinis and chicken rissoles, these stunning little pieces are all the inspiration you'll need. These irresistible pastries are a perfect mix of delightful flavours, whether light and crispy or soft and creamy. From tartlets to profiteroles these fruity, chocolatey and creamy bites are great for every occasion from simple summer barbecues to stylish dinner parties. Check out this collection of gorgeous pastry desserts for some entertaining inspiration. These scrumptious dishes take the pain out of weeknight cooking by only using one cooking dish! The last thing any of us wants to do after a long day at work is come home to make dinner and get stuck with cleaning a sinkful of dishes. One pan doesn't mean it has to be a stew or slow cooked winter dish. This collection of ideas has a little bit of everything, for any time of the year, from stir fries and risottos to light omelettes and curries. Whether you're planning a race day party or hosting an engagement party, every perfect moment needs a perfect cocktail. And even if your horse loses, Don't Sweat It! There's a drink for every occasion here, from martini's to pina colada's, cosmopolitan's and daiquiri's, learn all the best ways to prepare the most delicious drinks. For all the best fruity, frozen or creamy cocktails take a look at this collection of classic and creative cocktail recipes. Time to start frolicking in the great outdoors! What better way to spend a sunny weekend than having a picnic with family and friends? If you're heading to a race day, organising a party in the park, or planning a backyard soirée, you won't want to miss our round up of fantastic picnic food. We've got sweet and savoury delights that are easy to make ahead and great served at room temp. Enjoy! Oktoberfest in Germany has offically begun! But not all of us can go to Munich to join in the feasting and beer drinking. To get a taste of the two century old tradition, try some of these German style recipes at home. Crack open your favourite beer and try the classic slow cooked pork with crispy crackling recipe, or the roasted pork belly with sweet soy sauce, which is a gloriously meaty dish, but with an Asian twist. There's even soups, salads and desserts to complete your Oktoberfest experience. The outdoors are beckoning as the temperature rises so why not pack yourself some scrumptious sandwiches and head on out for a glorious picnic over the weekend. Spring is the perfect time for picnics and to make planning a little easier, here's a collection of simple fresh sandwiches that you can pack and go. From ham baguettes to fresh chicken burgers and everything inbetween there's something for every taste. 10 Desserts Under 10 Minutes! Have you just plopped down on the couch and felt the need to satisfy your sweet tooth? Well we have some ideas for you! All of the recipes in this range can be ready in less than 10 minutes and, with some practice, you could even make them during ad breaks. Satiate those chocolate cravings with the fudge chocolate pots or a hot chocolate and custard jaffle. If you'd prefer something light and fruity, try the berry yoghurt! There's quite a few different snack ideas in this eclectic collection of sweet desserts. Kickin' Chicken Wings, Drumsticks and more! For those days when you're craving a hearty chicken feed you'll find everything you need right here. A collection of wings, drumsticks, tenders and all things chicken that you can eat one handed! This collection is perfect for watching the footy finals or your favourite game so you can eat with one hand and cheer with the other. There's barbecue chicken, honey soy, tandoori, sweet chilli and plenty more delicious flavours to choose from. Now the juicy tomato is back in season, it's time to start including it in our salads again! With a huge range of cultural salads that are Mediterreanean, Middle Eastern and Mexican inspired among others, there's a salad here for every occasion. Mix it up with some pine nuts, feta, anchovies or mushrooms! Tomatoes pair well with a wide variety of foods and add some vibrant colour to your salads. We love pink! It's the colour that represents compassion, understanding and love. It relates to the giving and receiving of nurturing. We wonder, what could be more nurturing than a decadent pink dessert? Embrace this gorgeous colour with a recipe from this collection of pink cakes, slices, puddings and all kinds of bites. You'll find heaps of ideas here for the prettiest of parties, for 200 or just 2! Make dad's day this Father's Day with a feast of food, worth celebrating over. From barbecue ribs to a big breakfast or the ultimate dessert like mint chocolate mousse or rum and raisin ice cream - this collection has all of dad's favourite foods! Here's a group of low carb appetisers that really go against the grain! Don't let dinner parties leave you feeling guilty for over indulging on carb heavy nibbles. This amazing collection of low carb party finger food has everything from light avocado dip and thai curry devilled eggs to hearty chorizo frittatas and sweet soy chicken drummettes. Say no to unhealthy bites and yes to delicious canape recipes! If there's one thing that can bring a little flavour into your day - it's tacos. From hard shell to soft, tortillas to tostadas, here is your complete collection of Mexican taco recipes. Tacos with every type of meat you can imagine, beef, pork, chicken, fish. There's no lack of variety when it comes to tacos. Tacos, tacos, tacos... it's a very catchy word, and a very scrumptious food! With crumbly, buttery pastry and rich hearty fillings - how could you resist a warm winter pie. Fill with your choice of shredded slow cooked lamb shanks or creamy chicken and mushrooms - you're sure to find best-ever pie ideas in this collection. Sandwiches are a lunchbox recipe staple. But what about when the kids don't like sandwiches? These think outside the box school lunch recipe ideas are perfect when you want to mix it up. From veggie slice recipes, to recipes for savoury muffins and mini quiches, there is something in this collection for all kids and all tastes. Bacon recipes made for bacon lovers! A perfect side to your favourite eggs, bacon also plays a starring role in pasta, adds another taste dimention to greens like brussel sprouts and broccoli, can be added to salads and is a favourite in quiches and savoury slices. Dad deserves to be spoilt too, and what better way than starting his day with a homemade plate of his favourite foods. And if you need some inspiration to get started, this collection should do the trick. This Father's Day, wake dad up with the beautiful smell of frying bacon and warm toast or a mouth watering egg and spinach omelette. We have heaps of ideas in this Father's Day brekkie collection. Get creative with last night's chicken leftovers using these easy and delicious chicken recipes. Whether you're in the mood for Asian, Mexican or Italian there's a huge variety of cuisines to choose from. So make sure that chicken doesn't go to waste! Make awesome dishes with your leftovers. Oranges are a versatile fruit, perfect for both sweet and savoury recipes. The arrival of winter means it's orange season and what better way to celebrate than by getting busy in the kitchen. Create the chocolate orange cheesecake or give the homemade orange jaffa cookies a go. Check out our super sweet selection of cookies, biscuits, shortbread and macarons. There is something here sure to satisfy every sweet tooth out there. While we love a classic chocolate chip cookie recipe, we've included gingerbread recipes, jam drop recipes and more just for you. Spinach has never tasted so good as it has in this collection of recipes. Autumn and Winter are peak season for the spinach family, so what better time to try one of these yummy spinach recipes. Try spinach pasta, risotto, salad and soup recipes so good Popeye would be jealous! When it's cool outside we could think of nothing better than a comforting and delectable apple dessert. Warm apple crumble topped with vanilla custard, Grandma's famous apple pie with ice cream or classic apple and cinamon muffins. What better way to warm your tum! Pasta bakes are perfect for entertaining guests, as well as weeknight family dinners. Find the perfect simple, warming pasta bake recipe here. There's easy, yummy pasta bake recipes from macaroni and cheese to beef ragu pasta bake and lasagne recipes. A big warm welcome to Winter and all of the beautiful produce that it brings - carrots, pumpkin, pears, apples, the list goes on! Enjoy this collection of over 50 recipes using seasonal fruit and veg. Bake them, mash them, roast them, or fry them - everybody loves a potato recipe, and we've got plenty here. Looking for a new way to use this humble vegetable? Try a potato rosti for breakfast, put it on a pizza, in a soup or even in a jaffle. Make sure you save some room for pud as this collection of pudding recipes is irresistable! This is a collection of all the classics, but with a modern twist. Be sure to make enough for seconds as these puds won't last long! Winter and autumn are the best time to enjoy a comforting pie. This collection of top pie recipes has everything from family dinner pies to mini pies. Try these delicious pie recipe favourites like Aussie meat pie, chicken pies, fish pie, savoury pies, pot pie and more. Yum! To show you just how versatile the humble egg is, here are over 25 scrambled egg and omelette recipes for you to enjoy. Egg recipes can be great any time of day. Try the bacon and cheese omelette burger for breakfast or the pitas filled with scrambled eggs for lunch. Once you know how to perfectly boil and poach eggs, you soon realise the number of wonderful ways to add them to any meal. Enjoy eggs for breakfast, in salads and rolls, traditional with solider toast or asparagus. A great way to add protein and vitamin D to your daily diet. Did you know Pumpkins are fruit, their flowers are edible and pumpkin seeds can be roasted as a snack. It's one of our favourite seasonal ingredients so here's 50 recipe ideas to cook with it. This collection of filling, tasty recipes is the best for those on a low-carb diet. No need to go hungry, or be unsatisfied when trying to reduce your carbohydrate intake with these mouth-watering meal ideas. Spoil mum this Mother's Day with these scrumptious and easy recipes. Fill the kitchen with mum's favourite aromas and then serve up her favourite breakfast in bed. If mum prefers something sweet try the Ricotta Pancakes recipe or a Choc Pear Smoothie. If mum prefers savory give the Sweet Potato, Spinach and Feta muffins a try or the Herb Omelette recipe with Wilted Spinach and Smoked Fish will sure do the trick! The family Sunday Roast is kind of a big deal. Do you choose a roast chicken, roast lamb, or a roast beef recipe? Do you just roast potatoes, or do you need roast carrot and roast beetroot recipes as well? Whatever your decision, this Sunday Roast collection has you covered. Try roasting a spatchcock for something different this Sunday. These are the best ever breakfast and brunch recipes for cold winter mornings. Warm up with a steaming bowl of quinoa porridge, a simple pancake recipe or a cheesy egg bake. Why not make the family eggs benedict from scratch? Yum. If you love a sweet treat, our collection of little squares and slices is just for you. You'll find no-bake slice recipes, chocolate slice recipes, caramel slice recipes and more. Get your baking hat on and enjoy the trending choc-mint brownie slice this weekend. Did you know that the foods highest in iron are mussels and oysters? Or that nuts, lentils, spinach and tofu are great sources of iron? Stick with tried and true iron-rich beef and lamb recipes, or give the healthy lentil and chickpea recipe a go. Want to warm up with a homemade soup for dinner tonight, but don't have time for your soup to slow cook all day? These tasty soup recipes are easy enough for mid week meals. Try a pea and mint soup, a mushroom soup or a noodle soup for a quick and easy dinner idea tonight. If you're as crazy for coconut as we are, you'll love this collection of coconut recipes. You'll find both sweet and savoury recipes using coconut, including recipes for coconut truffle, coconut curry and coconut icecream. Try the coconut lime cake - it's to die for! This collection of delicious treats is full of ideas that are perfect to finish your Thanksgiving feast. With recipes like carrot and pecan cake, deep dish apple pie and chocolate pumpkin pie, there's a huge variety of inspiring ideas, perfect for some indulgence at the end of a glorious meal. These ideas range from traditional desserts to modern twists on old favourites, so dive in and find a perfect dish for your Thanksgiving menu. What better way to celebrate the glorious Easter long weekend than with delicious seafood. Serve up everything from delectable share plates to a simple yet impressive baked fish recipe. Relaxed breakfasts, lazy lunches and even your Easter Sunday dinner - this collection has you covered! Whether you chose a traditional dip recipe like a hummus or pesto recipe, or try something different like the creamy ricotta and white bean dip recipe, this collection of dips will help make entertaining easy. Not just for entertaining, these dip recipes can be used as snacks too! Delicious and healthy recipes made with some of nature's most popular superfoods, Quinoa, Kale and Chia. You'll find great recipe inspiration for cooking with super-healthy ingredients, with ideas from quinoa salad, to easy kale stir fry, chia pudding for breakfast, chia bliss balls and more. Cooking with legumes will make your meals extra hearty and full of fibre. From flavoursome tomato and veggie minestrones to the family favourite chilli con carne. You will be enjoying comfort food at its absolute best. Now that Spring has sprung so have all the seasonal veggies that come with it! This month's feature - cauliflower. You can't go past cauliflower as a low carb alternative for a whole range of foods like potato, pizza dough and rice. For inspiration, check out this collection of recipes perfect for mid week dinners or weekend parties, there's something for every occasion. Don't throw away your leftover pumpkin after Halloween, create mouth watering desserts, dinners and lunches that everyone will love. Pumpkin has a natural creaminess that is absolutely irresistible when paired with savoury and spicy flavours. From yummy tarts and creamy risottos to indulgent cakes and soft scones, there's plenty of mouth watering recipes to try using your Halloween pumpkin. Nothing says 'I love you' quite like breakfast in bed, so make this Valentine's Day extra special with a homemade breakfast, or brunch, that shows you care! A collection of beautiful recipes using fresh, summer fruits. With bananas, peaches and strawberries galore! From adding a touch of sweetness to a delicious summer salad, to jazzing up your alfresco cocktails, this collection will inspire you to use the best of the Australian summer produce. Every good event needs a good tasty dip to get the party started! This collection of party dip recipes are all made using Breville blenders; The Boss and the Boss to Go personal blender. Make these easy, healthy dips for your next event or have on hand as a healthy snack for kids or at the office. Everyone needs a well deserved break after Christmas, and n o one wants to spend their Boxing Day cooking and cleaning, so use up those leftover hams, turkey and chicken in these quick and easy recipes. Whether you want breakfast, lunch or dinner, there's delicious recipes in this collection that'll put your Christmas food to good use in an easy way. 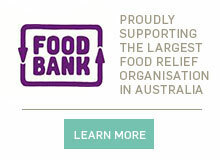 Get creative this Christmas and give the gift of food! We all love a Christmas gift we can actually use, so why not impress your friends and family this Christmas with an edible gift. Nothing says you care more than a special, homemade present that takes time, effort and love. Vegetarian Christmas doesn't have to be just about green salad in the middle of the table! Our Vegetarian Christmas Collection has delicious recipes that even the most avid meat eater will devour. From hearty roast vegetable dishes to fruity fresh summer salads, we've got your vegetarian Christmas covered! With these show stopping Christmas mains your guests will be more than satisfied with the feast. These scrumptious recipes include roast chicken, slow cooked lamb, baked ham and more! We have plenty of brilliant ideas for your festive feast with this mouth watering collection of main dishes. Zucchini season in Australia is from October to around end April, and oh do we love this vegetable. Low in calories and fat, zucchinis are also a good source of potassium and Vitamin C. But the best part is they're so versatile. Shredded, peeled, diced and sliced, zuccini works wonderfully in everything from finger food to hearty roasts. Get your dose with this collection of zucchini recipes. This collection of quick, easy and delicious dinner ideas are far better than any takeaway. Why order in, when you can whip up a meal for the family to enjoy on the couch in no time? These recipes are so good the kids will never know it's not take out! Everyone is talking about coconut and why wouldn't they be? Incredibly delicious in sweet and savoury dishes, has great texture and has a number of health benefits too. So if you're as mad for coconut as we are, here's a collection of recipes to satisfy your cravings! Get the kids in the kitchen and have some fun with these great recipe ideas. We've got breakfast ideas, vege smuggler lunches, healthy snacks and more. For a curry recipe packed with flavour, you can't go past this collection. Learn how to make the best curry with these beef, chicken, fish, lamb and vegetarian curries. Try a dish from India, Pakistan, Thailand and more. This winter, make a conscious effort to eat more Immune-Boosting foods. Not only do these recipes reduce your chance of getting a cold or the flu, they taste great too. Try a traditional remedy such as chicken soup, ginger, garlic or turmeric recipes.